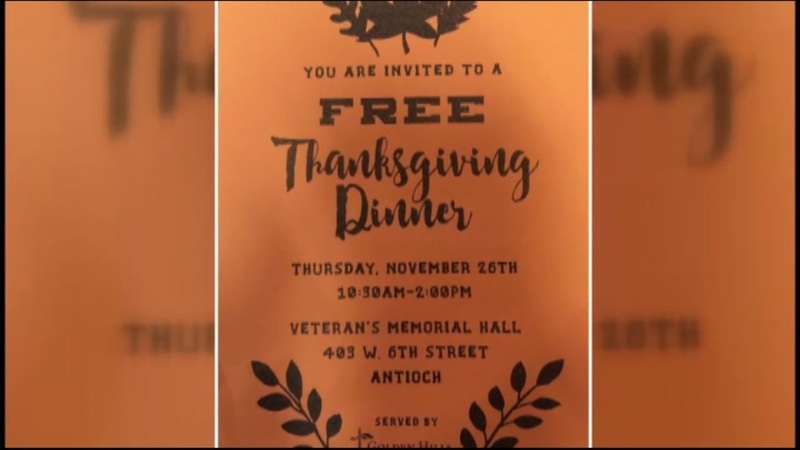 ANTIOCH, Calif. (KGO) -- More than 800 people were served the Thanksgiving meal that's now in question. The meal was served on Thursday at the American Legion Hall on West 6th and E streets in Antioch. Health department investigators are interviewing patients and testing samples as they try to determine what killed three people and made five others sick. Fellow attendees of the Thanksgiving meal may be able to help with the investigation. "Every other Friday they give bags of food out and boxes of food on the first Wednesday of each month," said volunteer Shirley Jones. She says organizations do so much good feeding people at the American Legion Hall in Antioch, including Thanksgiving day. "You know I'm kinda, stunned about the fact that they got sick this particular day when they been doing it for years," Jones continued. By Friday, Sutter Delta Medical Center received eight patients reporting nausea, vomiting and diarrhea. Three people died, four were treated and released and one person remains hospitalized. "Just from our experience, it's usually something that is food borne," said Dr. Marilyn Underwood of Contra Costa County Health services, who is investigating. "All of the patients are associated with the same living facility, so it's unclear if the illness is related to the Thanksgiving Day event or their living situation." Golden Hills Church hosted the event, but did not return our calls for comment. Others vouched for the cleanliness of the event where 835 people ate. "When we spoke to them about the food safety techniques, they all sounded very appropriate," said Dr. Louise McNitt. "You know, arrangement nice, set up everything. It was nice." County officials contacted the agency that oversees group homes. It may be weeks before lab results come in, but investigators would like others who may have been ill to come forward to be interviewed.